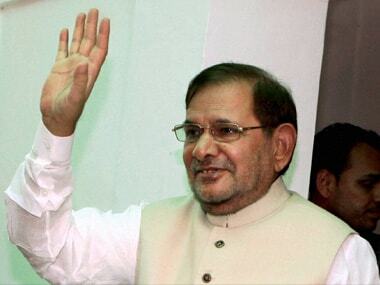 New Delhi: The Sharad Yadav-led rebel JD(U) faction on Sunday appeared to be pushing for a split in the party as it appointed Chhotubhai Vasava as its acting president and formed a disciplinary committee to decide on action against Bihar chief minister Nitish Kumar. 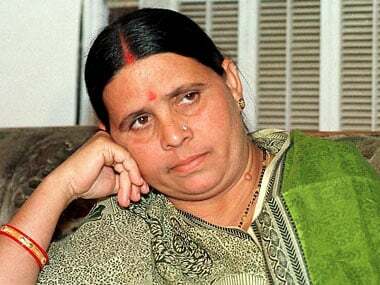 The Yadav faction held a 'national executive' meeting and took a number of decisions targeting Kumar, who is also the JD(U) national president, a move seen largely as symbolic due to the overwhelming support he has in the party. Arun Kumar Srivastava, who was sacked as the party's general secretary due to his proximity to Yadav, claimed at a press conference that a majority of the party's state chiefs and workers were on their side. Following Sunday's decision, including a number of appointments to party posts, the Yadav faction will meet the EC soon to stake its claim over the party's election symbol. The faction's meeting also decided to reinstate those JD(U) state presidents that were sacked by Kumar over a period of time. "We have elected our party's Gujarat unit chief and six-time MLA Chhotubhai Vasava as the acting president. The national executive has unanimously decided that the party will work under his leadership till a new president is elected," Srivastava said. He said that several decisions taken under Kumar's leadership were "unconstitutional" and the executive revoked them. "Hence, the national executive (of Sunday) has declared all the elections monitored by Hegde as null and void.... several party state presidents were sacked on whims and fancies, we have revoked that and reinstated those state presidents," Srivastava added. 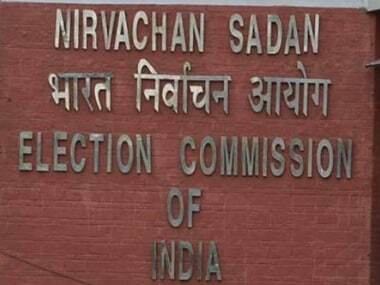 Replying to a question on what will be the faction's strategy before the Election Commission, which had recently refused to take cognizance of its claim over the party's symbol, Srivastava said they have moved the EC again and sought time from the poll watchdog to submit fresh documents. He also insisted that the EC has not rejected the rebel group's earlier plea in this connection and added it has only been "set aside". "We had not given any paper in support first. We approached the EC again on Friday with a signed affidavit. We have also demanded from them another month's time to submit all the documents. We will submit those in the next 10-15 days," he said. He said Sharad Yadav was touring various parts of the country under his 'Composite Culture' campaign which was being attended by leaders of other Opposition parties. "Congress, RJD, and the Left parties are with us, and we feel an alliance will take shape in the coming days which you can call a grand alliance," he added.